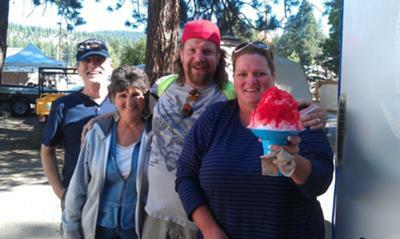 Other people claim to have the best shaved ice around, but it's our customers who say we have the Best Shaved Ice Around! We're not your everyday shaved ice chain down at the corner; we're totally independent, offering real vanilla ice cream in the bottom of your shaved ice, along with sweet cream or sour on top...and we hand-pick the best flavors from around the country. Our favorite word to hear when customers first see our serving size(s) is "WOW! 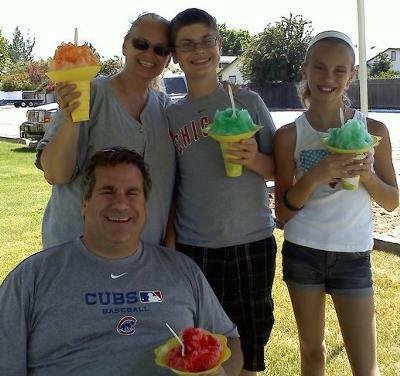 "...they can't believe how much they get and every shaved ice is served in a Flower Cup! 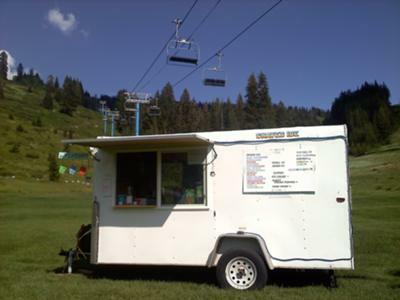 Plus, we offer pop, bottled water, energy drinks, chips, candy and more! 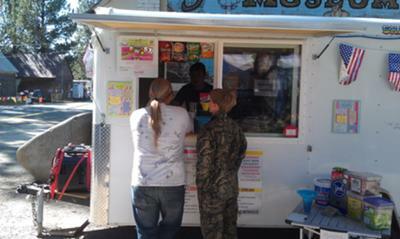 A real "mom and pop" concession trailer! Email at pipnpucks@gmail.com for booking information.